Prototype: Royal Bavarian State Railways (K.Bay.Sts.B.) type PPostL Bavarian design local railroad car (baggage and postal car). Car number Regensburg 21004. The car looks as it did around 1912. Model: The car has many separately applied details and fine decorative striping. Length over the buffers approximately 11.4 cm / 4-1/2". DC wheelset E36669200. 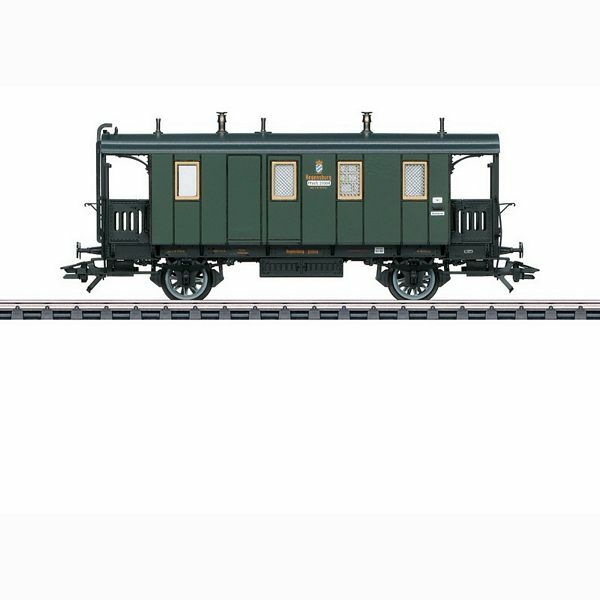 Passenger cars to go with this car can be found in the Märklin H0 assortment under item numbers 42071 and 42081. A steam locomotive to go with this car can be found in the Märklin H0 assortment under item number 36867.